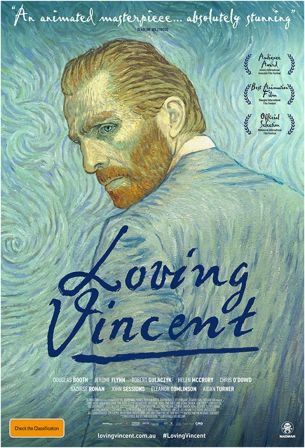 Hand-painted animated drama about the life and mysterious death of Vincent Van Gogh. The film uses a new oil painting for each shot, with movement added from one frame to the next by a painter’s brush. Around 100 artists have been involved in the film, and in the process have composed more than 56,000 paintings.